It’s barely been a year since Tennis released their critically-acclaimed debut album Cape Dory here in the states, and the band is taking the old adage “strike while the iron’s hot” to heart. I came late to the Tennis bandwagon last year. The website that I used to write for, surprisingly, was ahead of the game. They offered up a live review of a show Tennis put on at Schubas way back in December of 2010, a full month ahead of Cape Dory‘s release. Even with the positive words, I put off seeking out Tennis until I’d forgotten all about it. Then, out of nowhere, I found myself watching the band open for Smith Westerns in August of last year and I was very impressed. I don’t know what it is about 50’s and 60’s-style surf music that has helped the genre so elegantly assimilate into indie rock. It seems like every third album I review is influenced by the same five or six year period in American music. Not that I mind. Some of my favorite records from last year rely heavily on that era: Girls, Dum Dum Girls, Smith Westerns, even Poison Control Center to a certain extent. 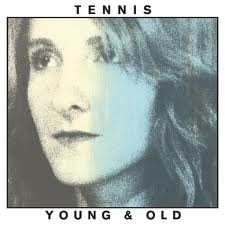 Tennis doesn’t exactly break new ground with their sound, but they do perform it about as well as a band could hope. One thing that concerned me about Young & Old before I ever gave it a spin was the producer, Patrick Carney. I’ve never been a big fan of The Black Keys. With the recent backlash against the band for the commercial bastardization of their music, I wondered if there would be a negative connotation with Carney on board. Hopefully not, because he does do a pretty good job handling Tennis’ style. Naturally the drums and percussion are pushed a bit more out front, but I’ve heard that this was also the case on the original recordings of Cape Dory before the band got a deal with Fat Possum. Since Tennis is a three-piece, with Alaina Moore on vocals and keys, her husband Patrick Riley on guitar and James Barone on drums, this album falls right into Carney’s wheelhouse. He facilitates sound arrangements out of the three musicians I don’t think they could have done on their own. What is it that you think of me? Is it a woman that you see? Picking out a favorite track on this album is actually a pretty tough task. 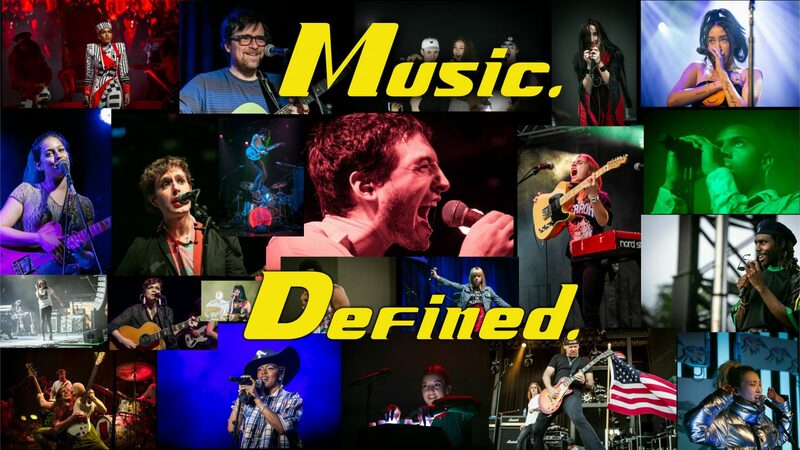 Each song carries over themes and sonic cues from those surrounding it, so the only way to really choose is by how each one affects you personally. For me, the highlight of the album is the penultimate track, “Take Me To Heaven.” It’s on the slower side as far as this album goes. It builds up over the course of three and a half minutes and toward the end Moore turns it up a notch into a soulful cry for retribution. Young & Old gets a lot of its lyrical content from questions about faith. Often music in this genre is filled with songs about young people in love and things of that nature, but Tennis does well to leave that mostly alone in favor of more serious material. The main reason I named the band one of my ten to watch in 2012 was my thought that if they built on all the best qualities of Cape Dory and got rid of some of the things that weren’t necessary, they could put together a fantastic album. As it turns out, my hopes were exceeded. Do yourself a favor and grab this when it comes out on Valentine’s Day.